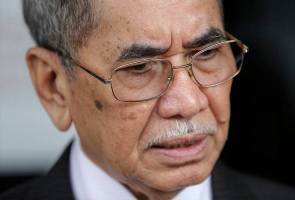 Wan Junaidi said no agreement was in force now as the earlier one had lapsed. He would meet his Indonesian counterpart on Sept 18 to discuss the contents of the MoU, he told the 'Borneo Post' English language daily in Sibu yesterday. Wan Junaidi said the MoU would touch on how both countries could "assist and exchange ideas with one another in the case of jungle and peat soil fires". He stressed that "the sealing of the MoU will require Indonesia to comply with its side of the bargain". The new MoU would be in force for five years, he said. Wan Junaidi said updates would be obtained from the Indonesian government and on preventive action and mitigation of land and forest fires as well as of the haze. Fires started annually to clear forests for cultivation of crops in Indonesia are reported to be the cause of the haze brought by winds to the neighbouring countries in Southeast Asia, especially Malaysia and Singapore. Wan Junaidi also said that his ministry would inform the National Security Council on the need for cloud-seeding once the air pollutants index reading reached the 150 mark. He also said that the ministry and the Department of Environment would advise schools to close once the API reached the 200 mark. API readings of between 0 and 50 indicate good air quality; between 51 and 100, moderate; between 101 and 200, unhealthy; between 201 and 300, very unhealthy; and over 301, hazardous.